With nearly two months left until summer break, it may seem like it’s too early to start thinking about the start of a new school year. But time is quickly running out to ensure you have an effective strategy in place to welcome students and parents when they return next fall. School leaders who work with us at K12 Insight report that more than 60 percent of parent and community inquiries occur during the opening months of the school year–starting with the “August onslaught” prior to students’ arrival and continuing into September and October as students and parents settle in. Back to school is a make-or-break time for school district leaders looking to establish a culture of strong community engagement and responsiveness. But creating a strong school customer experience doesn’t happen overnight. As a new school year quickly approaches, now’s the time to ensure you have a system for ensuring that students, parents, and staff feel engaged and empowered when they enter your buildings or reach out to you online or on the phone. Here’s three steps every school district should take right now to ensure a smooth back to school. 1. Assess your current school customer experience. It’s hard to assess your progress if you don’t know where you stand. Do students and parents feel welcomed when they enter your school buildings? Are questions and concerns responded to in a timely manner? What is the overall perception of your school district brand? These are important questions to ask and understand. School surveys are one way to help understand student, parent, and community perceptions. School culture and climate surveys, in particular, provide important insights into whether students feel comfortable in their schools, or whether parents feel listened to and engaged in their child’s education. Media coverage, social media chatter, and in-person conversations represent great opportunities to monitor and understand community perceptions about your district. When Dr. Curtis Jones, the 2019 AASA National Superintendent of the Year, became superintendent of Bibb County Schools in Georgia, community perceptions of his school district were at an all-time low. The district had cycled through five superintendents in seven years and trust was a problem. Jones and his team sought to change the conversation by establishing a culture of trust and customer experience in the district. But a strong customer experience culture wasn’t something administrators could simply set and forget. They needed a system they could build on, one that required constant assessment and maintenance. 2. Understand where technology can help. Technology alone can’t ensure a strong school customer experience or school culture. But it can help you streamline your operations and measure your progress. Dr. Jones and his team landed on Let’s Talk!, from K12 Insight. Through a button on the district website, parents, students, staff, and other community members can ask questions and leave comments for administrators. A backend dashboard helps Jones and his team collaborate on responses, reply in less time, and measure the quality of those interactions. “Let’s Talk! allowed us to have a way of saying, ‘If you send something to us, we’re going to get back to you within 48 hours. And, you’re going to get the answer from someone who is closest to the problem,” Dr. Jones says in recent video (see below). Another Georgia district, Richmond County School System, saw first-hand the role technology can play in changing community perceptions. 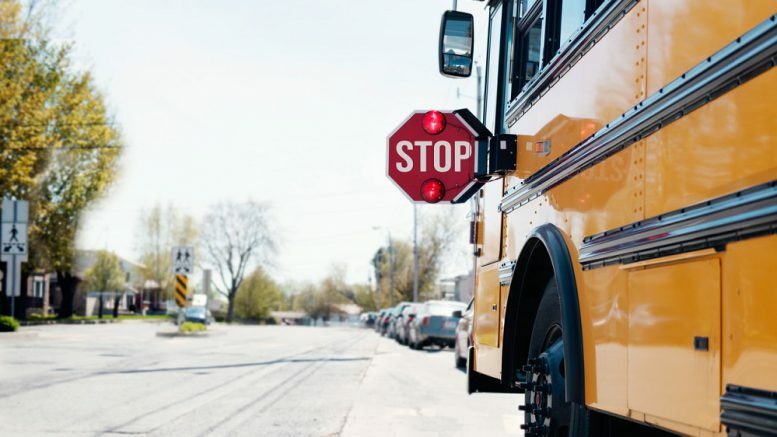 After an “awful first day of school” in which administrators fielded more than 1,000 transportation-related calls from parents and others, the district turned to Let’s Talk! to help centralize and streamline communications. Through a custom button and form on the transportation department’s website, community members are now able to send inquiries directly to department officials. The system instantly logs the information and routes it to the right person in the department to respond or collaborate with other team members on a response. Since implementing Let’s Talk!, school leaders say the change is night and day. It takes time and commitment. But, in both cases, school leaders say, technology has been a big help. 3. Make customer experience a key part of staff training. You can have all the data and all the tools in the world at your disposal, effective customer service can’t happen without a bought-in and well-trained school staff. A growing number of school districts across the country are now implementing new forms of professional development and training workshops focused on the customer experience. At the forefront of this new form of PD is K12 Insight, which has trained thousands of teachers, operations staff, front office representatives, and others in interactive training sessions that focus on real-world customer service challenges. To see one of these sessions in action, check out this video from Fontana Unified School District in California. Looking to improve your school or district’s customer experience in time for back to school? Sign up for a free consult to learn how to put some of these strategies in place before the fall. Be the first to comment on "Don’t wait for back to school: 3 steps to improve the school customer experience"